May 15th, 2011 5:00 pm ET. Richard Thornton. Architecture & Design Examiner. At least 61% of the people of Puerto Rico carry Native American DNA. 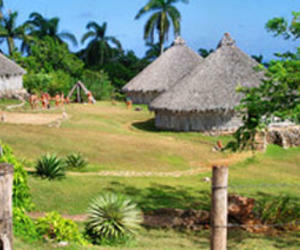 In the Dominican Republic traditional Taino festivals have become popular events for entire communities. In all the Greater Antilles Islands, archaeology and architectural preservation have proven to be effective tools for promoting heritage tourism and cultural pride. During this process, anthropologists have discovered that many cultural traditions long thought to be Spanish or African in origin, were actually Native American.